Provide comfort for the family of Robert Buttram with a meaningful gesture of sympathy. Robert H. (Hal) Buttram died on Saturday, January 26, at the age of 73. He was born and raised in Athens, son of the late Frank and Edith Buttram. Buttram was a graduate of Tennessee Military Institute and Tennessee Wesleyan University. He was a pilot in the U.S. Navy from 1967 - 1978 achieving a rank of Lieutenant Commander. Buttram was a partner in Hammer Johnson Supply Co. from 1972 - 2000 and Regional Vice President of Sales for Buzzi-Unicem USA from 2000 - 2015. He was a lifelong member of Keith Memorial United Methodist Church and was serving as the Chairman of the Board of Trustees at the time of his passing. Buttram served his community in many capacities. He was a member of the Athens CIty Council for 8 years, serving as Mayor for 4 of those years. He was selected as Mayor of the Year for the state of Tennessee in 2014. 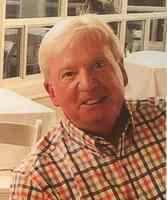 He was active in the Athens Kiwanis Club (past President), United Way of McMinn &Meigs County, Athens Chamber of Commerce (past President), E.G. Fisher Library Board (past Chair). Buttram was awarded Young Man of the Year in 1978, and Man of the Year in 1992. Buttram was an Eagle Scout from Local Troop 118 and continues to be involved with the Unaka District of the Boy Scouts of America. He is survived by his wife of 51 years, Susan Blackburn Buttram, three children, Greg Buttram (Margaret) of Centerville, Ohio; Ashley Barksdale (Allen) of Raleigh, NC; Ellen Brett (Jim) of Tucson, AZ and 5 grandchildren, Katie and Mack Buttram, Emily and Caroline Barksdale and Jax Brett. Also surviving are his brother Alex Buttram (Janet) of Chattanooga and brother-in-law Clifford Blackburn (Nancy) of Athens. Hal Buttram loved life. With his kind and joyful spirit, he could be counted on for a warm smile, a word of encouragement and a good laugh. He was devoted to his family and friends and gave selflessly to his community and his church. In tough times, Hal could be heard saying “I need 3 things to get through this: family, friends, and faith. . . and I have all three.” Truer words were never spoken. The family will receive friends on Wednesday, January 30 from 12:00 -3:00 at Keith Memorial United Methodist Church. A Celebration of Life will follow at 3:00. Interment will be private for the family. In lieu of flowers, memorial donations may be made to Keith Memorial United Methodist Church, P.O. Box 1, Athens, TN 37371-0001; Tennessee Wesleyan University,204 E. College Street, Athens, TN 37303; or the charity of your choice. To send flowers in memory of Robert H "Hal" Buttram, please visit our Heartfelt Sympathies Store. Cisco Capital, Mark and Shelly Malloy, and others have sent flowers to the family of Robert H "Hal" Buttram. Ashley, Wishing you and your family our deepest sympathies. From the Cisco Capital team. Cisco Capital purchased flowers for the family of Robert Buttram. I was devastated to hear of Hal's passing. He was a great neighbor and had asked by parents about him several times when I got back to Athens. Our love, thoughts and prayers are with his family knowing Hal will live on for eternity in your hearts. Hal was a gentleman in every sense of the word. We are sorry for your loss, and you are in our thoughts and prayers.